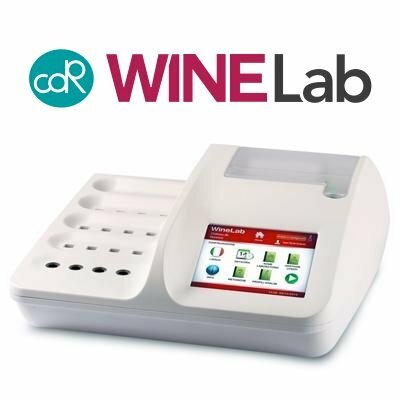 On-site, real time results for key decision making throughout the vinification process is now possible using the CDR WINELab® or WINELab® Junior. 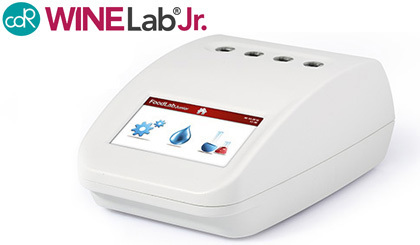 The CDR WINELab® and WINELab® Junior are an innovative analysis system that optimise traditional testing methods, making them easier and faster. The compact design of the WINELab® and WINELab® Junior and minimal sample preparation mean that the units can be used anywhere on the production line to perform quality control at any step in the vinification process, or back in the dedicated laboratory. All reagents are supplied in a ready to use format, eliminating the handling of toxic compounds and washing of glassware. Following the step-by-step instructions on the easy to read LCD screen, both models will automatically calculate and display the result in the correct unit of measure. 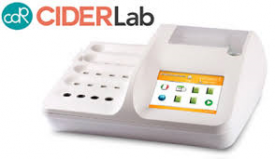 A printer built-in to the WINELab® allows all results to be printed for filling or sharing with colleagues. Results can also be printed when using the WINELab® Junior thanks to the wireless link to an external printer. For complete portability, WINELab® Junior is available with lithium ion batteries, enabling analysis truly anywhere in the production area.